Pepsodent is a brand of toothpaste with a minty flavour derived from sassafras. The brand is owned by Unilever, but in 2003 the rights to the brand in the United States and Canada were bought by Church & Dwight. 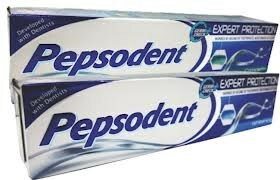 The history of Pepsodent goes back at least to the 1920s.